Effective July 1, 2014 the California Department of Pesticide Regulation has restricted rat poisons known as Second Generation Anticoagulant Rodenticides (SGARS) from being sold to consumers. Therefore, any poison containing the chemicals brodifacoum, bromadiolone, difenacoum, or difethialone will be removed from inventory at your local stores. This means you will have to contact a professional to eradicate rodents! When the sound of scurrying is heard coming from your attic or in the walls then you know the tell-tale droppings of rodents are soon to follow. When mice and rats invade your home, they usually dont come alone and in Ventura County, these rodents are common. Our technicians knows that ridding your property of rodents, both inside and out, is about integrating pest control management and eradication. Treating for rodents is truly a process and requires that all access points are sealed first, otherwise the problem will continue to exist. 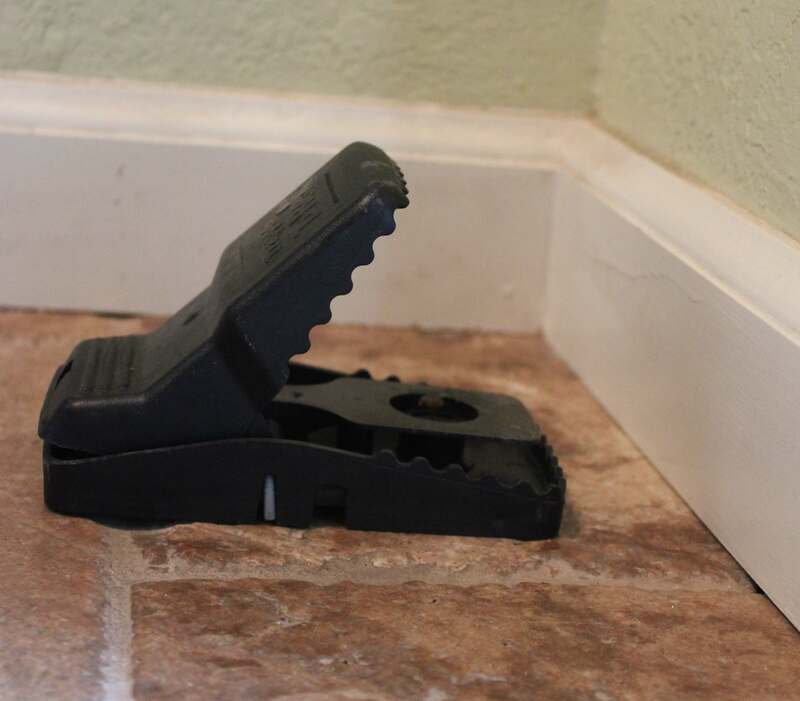 Once this is done, our expert technicians will utilize trapping methods to capture the rodents and remove them from the premises which usually solves the issue. The process typically involves up to four visits. The first time we visit we will inspect the area, seal entrance points and set traps. Subsequent visits will be to check the traps and remove any expired rodents. After the final visit, traps are removed and if needed, our technicians will discuss exterior baiting treatment options. We also guarantee our rodent exclusion work (sealing of access points) for one year. For exterior treatments we will utilize bait stations in which the rodent will enter a secure bait station and feed on a toxic substance. The rodent will leave the bait station and when not feeling well, return to it’s nest and expire. Bait stations will be anchored into the ground with a single wire cord or attached to a stepping stone with an adhesive. Bait stations are made of a durable plastic or metal material which will withstand roughhousing by the average pet. 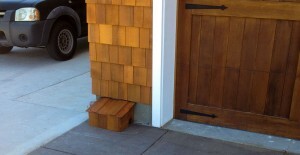 Kastle Kare can also custom make bait stations that blend into your home façade. All stations require special tools which only pest control technicians can obtain. Bait stations also have no aroma or attractant. IMPORTANT NOTE: Kastle Kare utilizes “Single-Feeding” bait meaning that once it has worked on the rodent, the toxin becomes ineffective on other animals. For example, should a pet ingest some of the expired rodent who subsequently ate the toxic bait, the pet will NOT be affected. Mice and Rats can be attracted to a building after it rains as a place of shelter and food source. Once in, their lack of bone structure allows them unfettered access to nearly anywhere in your home. They are amazing climbers and while they are technically blind, their other senses, especially hearing, are finely honed and they use those senses to check for threats or predators. The mouse typically has a pointed snout, small rounded ears, and a long naked or almost hairless tail. The easiest way for you to see the difference between a mouse and a rat is that the mouse has a smaller body with a long tail. The rat is a medium-sized long-tail rodent that typically weighs under one pound. The best way to tell if you have a rat vs. a mouse is to consider the size of the tail in proportion to the body. i.e. if the tail is long enough to extend the length of the body (from nose to rump) then you have a rat. Humans may become infected with hantaviruses through contact with rodent urine, saliva, or feces. Some strains of hantaviruses cause potentially fatal diseases in humans. Because of this, we recommend that you never sweep or vacuum dry rodent droppings. Instead we suggest you apply an antibacterial spray, such as Lysol to wet the area and therefore remove the danger of activating the dust on the droppings and then use protective gloves and a dusk mask to remove the feces. Then, make sure you call our Bug Blasted technicians to treat for rodent infestation.